Carl Sagan Cosmos research papers examine the thirteen-part series, by the astronomer and author Carl Sagan, that covered a wide range of scientific subjects. Carl Sagan is a very influential scientists because of his educational series entitled Cosmos. Paper Masters can do a biography on Sagan, a review of his Cosmos series or an explication of the science behind Sagan's series in a custom research paper. 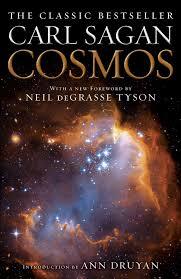 In 1980, PBS presented a thirteen-part series entitled Cosmos: A Personal Voyage, hosted by astronomer Carl Sagan. Co-written by Sagan, Ann Druyan (his third wife) and Steven Soter, the series covered a wide range of scientific subjects and became the most-watched PBS series in America until Ken Burns’ Civil War. However, Cosmos has been shown in more than 60 countries around the world, and seen by over 500 million people, making it the most watched PBS series ever. Cosmos was known for its groundbreaking special effects, which often showed Sagan walking through various environments that were actually models. Shot on videotape for interiors and film for exteriors, the series also featured a soundtrack by composer Vangelis (perhaps best known for his work on the film Chariots of Fire). The possibilities of life elsewhere. In the final episode, Carl Sagan pondered the future of humanity, including the threat of nuclear war. In 2014, an updated sequel, hosted by Neil deGrasse Tyson, aired on the National Geographic and Fox networks, bringing up-to-date special effects and scientific discoveries to Sagan’s work. Evolution as Fact and Theory - In his essay, Evolution as Fact and Theory, Stephen Jay Gould categorizes Darwin's theory of evolution as indeed both “fact” and “theory”, but is quick to point . Evolution Versus Creation - Evolution versus Creation research papers examine the arguments for Creationism and Evolution. Supernova - Supernova research papers examine these huge stars in the cosmos and how they are formed. Creation Myths - Creation Myths research papers discuss the many types of creation stories. The Universe - In explaining the beginnings of the universe, the theory describes “how” the cosmos evolved but does little to explain “why”. A Man Said to the Universe - A Man Said to the Universe Research Paper delves into a story by Stephen Crane that relates man and universe and how they fit into their cosmic roles. Asteroids - Asteroids research papers discuss the difference between actual planets and asteroids - relative size. Aurora Borealis - Science and astronomy research papers on aurora Borealis explain this complex phenomena that occurs in the northern sky at night. Capture Hypothesis - Research papers on the capture hypothesis look at the theory of the moon and other aspects of astronomy. Scientific Revolution - Scientific Revolution research papers discuss the era that lead to the development of modern science. Paper Masters writes custom research papers on Carl Sagan Cosmos and examine the thirteen-part series, by the astronomer and author Carl Sagan, that covered a wide range of scientific subjects.